skadinna added invites for E469: KDE Promo Team Meetings: KDE Promo, KDE Promo: Confidential, paulb. skadinna created E469: KDE Promo Team Meetings. hindenburg updated the event description for E452: KDE Apps 18.08.1 Release. hindenburg updated the event description for E447: KDE Apps 18.08 RC. hindenburg updated the event description for E446: KDE Apps 18.08 freeze and beta. jriddell created E452: KDE Apps 18.08.1 Release. jriddell created E447: KDE Apps 18.08 RC. jriddell created E446: KDE Apps 18.08 freeze and beta. ltoscano edited projects for E393: I <3 Free Software Day, added: Event: Meeting; removed Event: Release. jriddell cancelled E399: Plasma 5.12.5 LTS. jriddell cancelled E398: Plasma 5.12.4 LTS. jriddell cancelled E397: Plasma 5.12.3 LTS. jriddell cancelled E400: Plasma 5.13 beta. jriddell created E400: Plasma 5.13 beta. jriddell created E399: Plasma 5.12.5 LTS. jriddell created E398: Plasma 5.12.4 LTS. jriddell created E397: Plasma 5.12.3 LTS. paulb cancelled E380: [Tentative] KDE Slimbook II launch. paulb changed the start date for E380: [Tentative] KDE Slimbook II launch from Feb 6 2018, 11:00 AM to Feb 6 2018, 9:00 AM. paulb changed the start date for E380: [Tentative] KDE Slimbook II launch from Feb 6 2018, 9:00 AM to Feb 6 2018, 11:00 AM. paulb changed the start date for E380: [Tentative] KDE Slimbook II launch from Feb 6 2018, 8:00 AM to Feb 6 2018, 9:00 AM. paulb created E380: [Tentative] KDE Slimbook II launch. ltoscano added a project to E379: Akademy 2018: Akademy (Akademy 2018). ltoscano removed invites for E379: Akademy 2018: ltoscano. 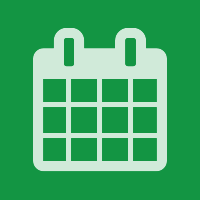 ltoscano updated the event description for E379: Akademy 2018.
ltoscano created E379: Akademy 2018.
bcooksley set the image for Event: Meeting to F3923159: fa-calendar-green.png.